When doctors refer to a skin disease as being inflammatory, what they mean is that the skin disease involves the influx into and the accumulation within the skin by inflammatory cells. Cells are inflammatory if they produce chemicals or other substances that initiate inflammation. Most of the time, inflammatory cells in skin disease are white blood cells that have left the circulation and entered into the skin or other tissues. The reason that white blood cells leave the circulation and enter tissues is the presence of an abnormality or organism in the tissues that does not belong. Abnormalities can be the reaction of allergic antibodies with allergen or in the case of autoimmune disease it can be from the patient’s own tissues that are no longer viewed as normal by the immune system. The presence of bacteria, yeast, virus, or parasites can also result in inflammation. 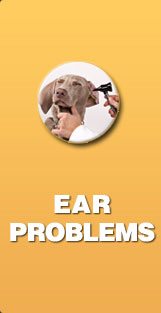 So inflammation can be the end result of many problems in the skin or the ears. For our purposes, the term inflammatory skin disease excludes neoplasia/cancer and also excludes most types of hormonal alopecia or baldness. Sebaceous adenitis is a rare type of inflammatory skin disease that affects the skin glands of young and middle age dogs. This condition most commonly affects Poodles, Akitas, and Samoyeds, although other breeds -- and some cats (rarely) -- can also be infected. This condition is characterized by severe, unremitting itching. 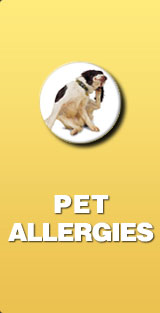 It is caused by a sensitivity to the saliva of fleas. 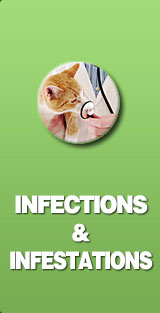 Just one flea bite can cause intense misery to an affected animal. 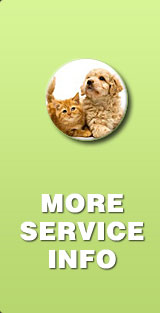 Even minimal or intermittent exposure to fleas can give rise to the condition. Cats may groom themselves excessively and may lose hair over their backs. Feline notoedric mange is similar to canine sarcoptic mange. 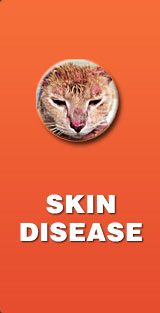 Notoedres cati is a microscopic mite that infests the skin of cats. The mite gives rise to an itchy, frequently crusty skin condition that typically affects the ears, face, and neck. Monday: 9:00am-5:00PM or 12:00am-8:00pm, alternating each week.